TV On the Radio have released the video for ‘Happy Idiot’ with an unexpected starring role by Paul Reubens as ‘Racer Steven’. 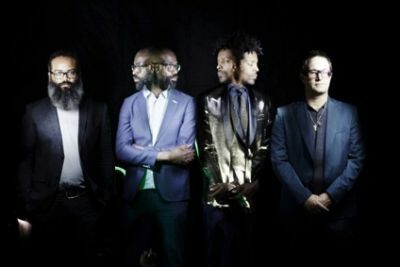 Like the best of Saturday morning and Saturday night rolled into one, TVONTHERADIOSCOPE presents a mind-bending visual to the first single from the band’s upcoming album, ‘Seeds’, out November 17. ‘Seeds’ was recorded at Federal Prism in Los Angeles and produced by guitarist David Andrew Sitek.